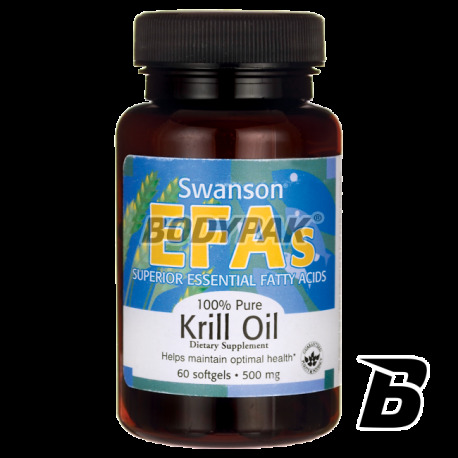 Health & BeautySwanson EFAs Krill Oil 500mg - 60 kaps. 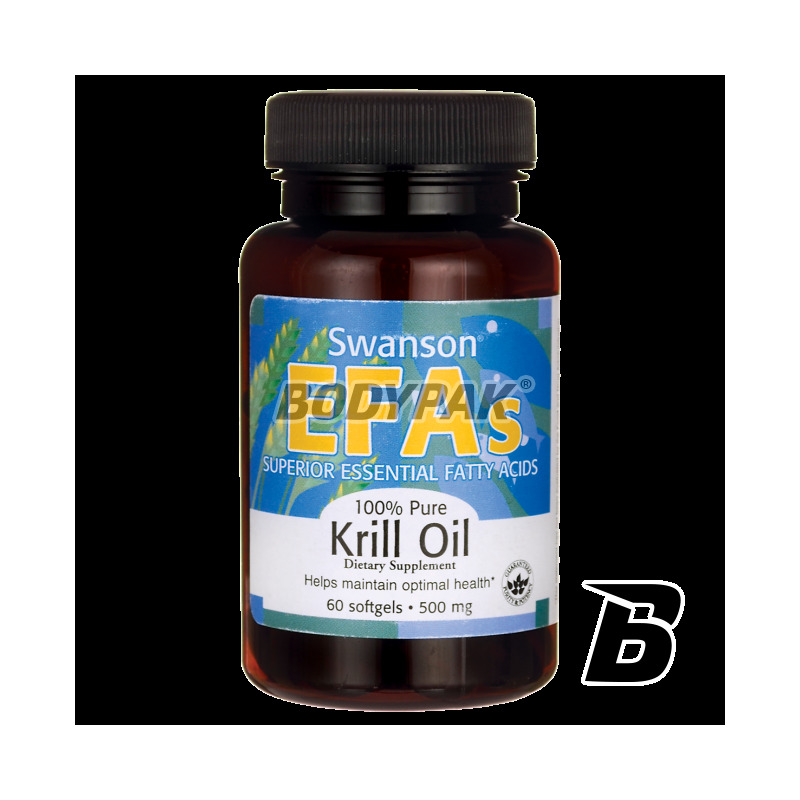 Swanson EFAs Krill Oil 500mg - 60 kaps. EFA Krill Oil - A dietary supplement containing oil from Antarctic krill - a rich source of unsaturated fatty acids omega-3, omega 6, omega 9, astaxanthin and vitamin A.
EFA Krill Oil is a high quality oil from Antarctic Krill Superba *. Good and inexpensive supplement Krill Oil contains Omega 3 in the form of phospholipids, especially phosphatidylcholine. This component which is a form of lecithin is very important nutrient for the brain cells. It affects the normal development of the nervous system. To phospholipids they were well prepared they must be associated with the appropriate type of fat. Such a fat is Omega-3 acid (DHA and EPA). After absorption, the phosphatidylcholine is absorbed into cell membranes and involved in the transport of fatty acids in the blood. In addition, Superba ™ Krill Oil Astaxanthin which is one of the strongest aktyoksydantów, which is necessary to maintain optimal levels of omega-3. Astaxanthin also slows down the aging of cells. Superba ™ Krill Oil is proposed as a very effective alternative in maintaining bone health and reducing the symptoms and severity of symptoms in joints compared with a standard Omega-3. Ingredients: Antarctic krill oil, gelatine (capsule shell), glycerol (humectant), purified water, vanillin.